We offer private dog training by appointment at our facility in Manteno, Illinois or at your home in the Chicago and Chicago suburban area. Private training allows customization of your dog’s training, with lesson plans that focus upon exactly what you and your dog need to achieve. Shy, aggressive, recently adopted, or poorly socialized dogs benefit from individualized assessment and customized dog behavioral modification. Dogs that are having trouble with a particular behavior problem or obedience training concept may not require a comprehensive training program. If you have a new puppy or your very first dog you probably have many questions and may appreciate the focused attention you’ll receive through private training. If you have multiple dogs you may prefer private dog training lessons so all of your pets are able to participate, especially since one-on-one training fees are the same whether you have one or more dogs. Families with complicated schedules often prefer the flexibility private training offers. We offer dog training in your own home when appropriate. Some dogs do better with instruction away from their familiar home base, especially if they have a history of arousal or aggressive behavior. When you complete our behavior and veterinary history forms we will have a better understanding of your dog’s needs and can advise you which options will help you best achieve your training goals. In-home training lessons are provided by Monica. 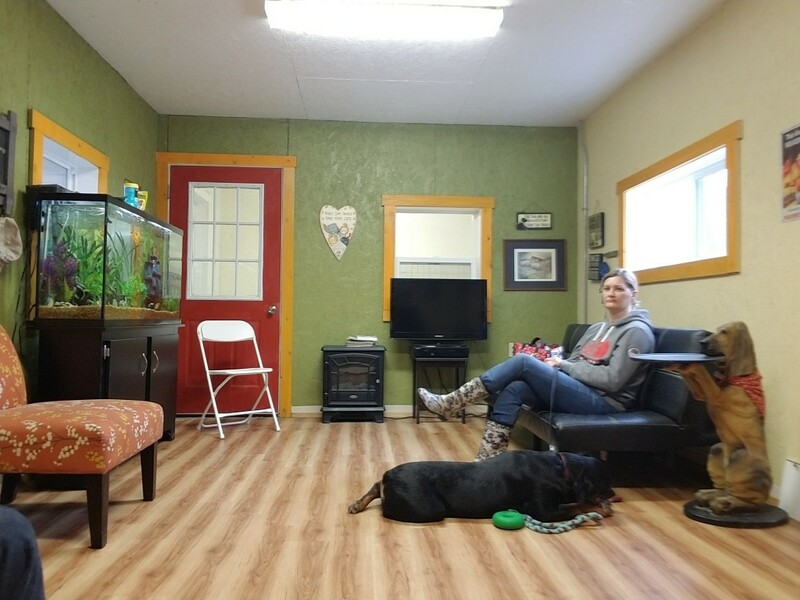 After completing and submitting our enrollment forms, either of us will be in touch to discuss your dog’s specific training needs, and to help you figure out your best option. We charge $90.00/ hour for in home training plus an add-on transportation fee (generally $20.00 per visit) depending on where you live. We offer private lessons at our (very cool!) training facility in lovely Manteno, IL. After completing your application forms (located under the “Enroll Your Dog” tab, above), one of us will be in touch to chat about your dog and training needs/ goals. Generally Peggy will be your trainer at our facility, although Monica also offers some lessons at our place. We charge $45.00/ half-hour, $90.00/ hour for private training. We offer dog boarding and training on a limited basis. This is not a preferred approach for training most dogs, for many reasons. Sending a dog away causes a great deal of stress unless your dog has already become familiar with us and our facilities. Although it sounds tempting to send your dog away for a couple of weeks in hopes he will return with a shiny new education, in actuality, send-away dog training teaches the dog to bond with and respond to us in our contexts! when your dog returns home he will quickly revert to his old familiar behavior patterns. If you are planning to travel and your dog will need to be boarded wither way, boarded training can offer the advantages of giving your dog more one-on-one engagement and also introduce some new training skills…however you will still have to do some follow-up training with one of is or your dog’s new good habits and responses will not last. If you do think your dog will be spending some time with us at “camp”, it is a good idea to begin participating in lessons as soon as possible so that by the time you leave, your dog has become good friends with us and very comfortable at our place. We charge $500.00/ week for dog boarding and training. Check out our Dog Training Schedule or contact us at 708-323-2722 for more information!